Because buying a diamond is such an important purchase and certainly not something you do every day, having a recognized and universal grading system safeguards you and helps you understand the properties of the diamond you are purchasing. 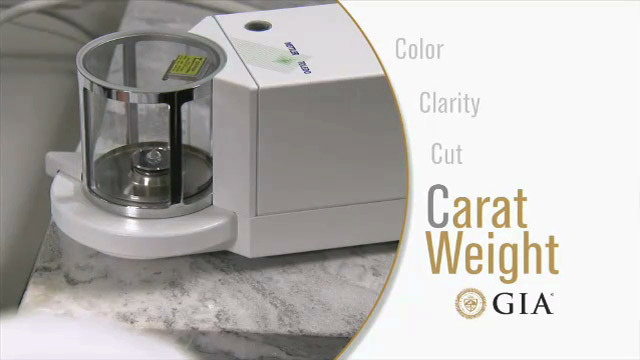 Much of the information shared here is from the Gemological Institute of America (GIA), the industry’s standard for diamond grading. GIA remains to this day the first word in grading and understanding the 4 C’s. 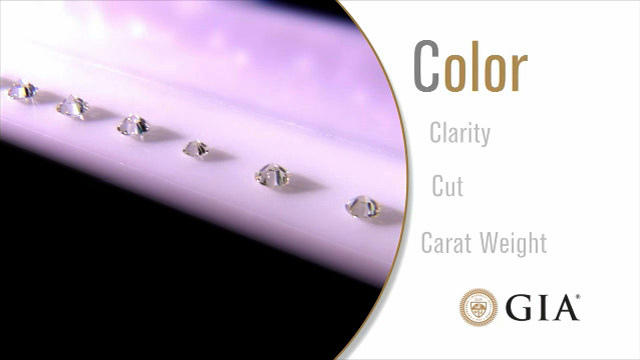 Color describes the amount of color a diamond contains, ranging on a scale from colorless to yellow. These colors are very subtle and range in letters starting with D (considered colorless and very valuable) through Z with each letter increasing the color of the stone by very small increments. Once again, the industry standard recognizes the GIA rating system as the most reliable and accurate. Usually it takes a trained professional to recognize stones that are rated D through H, and then the colors start to become eye-visible, which means you can see the difference plainly with the naked eye. The best way to judge a stone is to do a side by side comparison. Remember that the whiter the stone – the higher the cost. You can buy an absolutely gorgeous G-H stone at a significant savings. Again, it’s a very personal choice. There are diamonds that contain prominent amounts of other color (e.g. pink, red, blue, etc.) These are rare (and valuable), and are called Fancies. You may wonder when a yellow diamond is considered fancy. A fancy yellow determination is given when the stone’s color rating is greater than a Z. Clarity describes the clearness of a diamond. 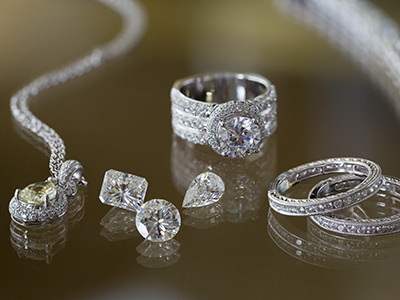 Because nature makes diamonds, most come with distinctive characteristics called inclusions. When you buy a diamond, you can have it “plotted” or appraised in such a way that you have an exact description of your diamond’s “fingerprint”. This assures you that no one can swap your stone with something else and it’s a good idea to have one done. The most expensive and rarest diamond comes with the least amount of blemishes, and these stones are referred to as flawless. Nature’s birthmarks, they’re simply small crystals that are trapped in a diamond while it is forming. 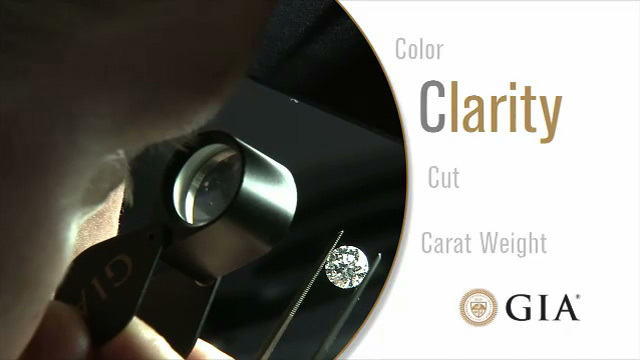 Some inclusions are removed from a diamond when the cutting process is being done. Another method of disguising an inclusions is done through clever setting. If an inclusion is on an outer edge, many times it can be set in a way that a prong can cover it. Occasionally a stone will be treated by drilling into it, removing the dark inclusion and refilling it with a liquid glass, much like a dentist would fill a cavity. This is referred to as a fracture filled diamond, and it is not recommended to buy a stone that has been treated like this. The seller must always disclose a stone that has been fracture filled, and a gemologist would have no problem identifying one. 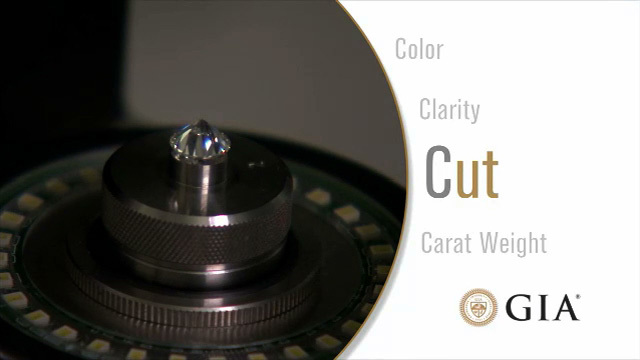 Technically, Cut refers to a diamond’s proportions and how each section of a diamond is cut to obtain optimal beauty. This is the only diamond attribute that is man-made. Though “cut” can refer to how a diamond is shaped (princess-cut, emerald-cut, pear-shape, etc. ), when determining a diamond’s value, the focus is on balanced proportion. For instance, three women may each weigh 150 pounds, but they each may be proportionally shaped differently. 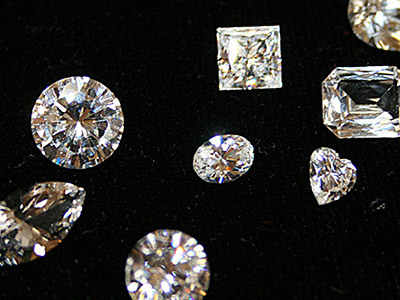 Likewise, three diamonds (even of the same color, clarity and carat) may all be proportionally different by cut. The more evenly proportioned the diamond, the better the cut. A round, brilliant cut diamond contains 58 precisely cut facets that contribute to its overall beauty. These cuts have 3 attributes: Brightness which is the total light relected from a diamond, Fire, which is the disbursement of light into colors of the spectrum and Scintillation, which is how the light flashes (or sparkles) when a diamond moves. Understanding a diamond cut starts with the shape of the stone. The most popular shape is the round brilliant cut and it dominates the majority of all jewelry. All other diamond shapes are called fancy cuts and include emerald, princess, marquis and pear shapes. Heart, trillion (triangle) and baguettes also enjoy some popularity in jewelry design but there are many more cuts than what is listed here. Carat is the diamond’s weight. A one carat diamond weighs about 0.2 grams, which is approximately the weight of a paper clip. A good way to understand what a carat is, is to look at a dollar bill. A dollar = 100 pennies. A carat = 100 points. Therefore, a .50 ct. diamond is a half carat, and so on. With that said, you can look at two 1.00 ct. diamonds, and while they may be the same weight, they will look very different and have different values because of the other 4 C’s.